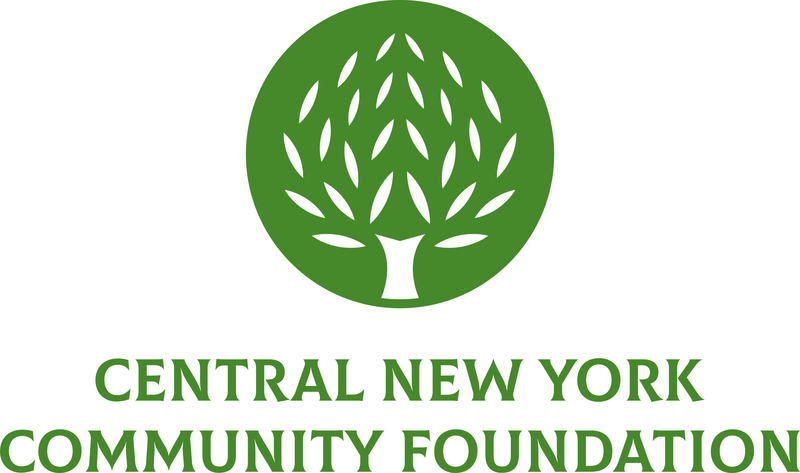 July 20, 2016 (Cayuga, NY) – The Cayuga Community Fund, an affiliate fund of the Central New York Community Foundation, awarded $35,985 to 14 nonprofit organizations that serve residents of Cayuga County. ARISE – Auburn received $3,000 to fund the continuation and expansion of the Personal Care Bank program, which provides low-income clients with access to basic necessities such as personal hygiene products and cleaning supplies. Auburn Memorial Medical Services received $2,000 to help purchase a RetinaVue and associated software for Auburn Regional Diabetes and Endocrinology. The RetinaVue technology will assist with early diagnosis of diabetic retinopathy and will promote sight preservation by enabling the practice to make timely referrals for diabetic patients showing early signs of the disease. Cayuga Home for Children (Cayuga Centers) received $1,997 for an accessible double wheelchair swingset to help create a special needs playground for consumers in its People with Developmental Disabilities program. Cayuga County Highland Search & Rescue received $1,000 to purchase upgraded software and GPS units, which will help facilitate ongoing training and bolster search and rescue efforts by ensuring that the team’s technology is up-to-date. Cayuga/Seneca Community Action Agency received $3,900 to enhance its existing Breastfeeding Support Group in order to provide transportation, refreshments and material assistance including breast pumps, pads and storage bags to participating mothers in Cayuga County. Community Preservation Committee received $500 to help update The History of Willard Memorial Chapel & the Auburn Theological Seminary video, which is shown to all Willard Chapel Complex visitors and tour groups. Locke Volunteer Fire Department received $3,388 to purchase two HeartStart defibrillator kits and storage cabinets to be installed in various buildings on the premises, which are designated as Red Cross emergency evacuation shelters and are also available for community events. Perform 4 Purpose received $3,000 to provide equipment for seven existing and one new after school workshop for the 2016-2017 school year. The program seeks to foster and encourage youth involvement in altruism and the arts by providing at-risk students with opportunities to learn to play a musical instrument and engage in live performance events that benefit charitable causes in Cayuga County. Southern Cayuga Anne Frank Tree Project received $1,500 to provide funding for books and marketing materials to support the annual community read event – an educational event hosted in partnership with the Southern Cayuga School District, the Hazard Public Library and the Aurora Free Library – which aims to cultivate a culture of tolerance, understanding and respect within the context of current social justice issues. The Episcopal Church of St. Peter and St. John received $2,150 to replace an existing garbage disposal for use by its Bread of Life soup kitchen, which serves a free midday meal to community members every Saturday. Transportation Project for Cayuga County received $5,000 to assist with the purchase of two new wheelchair accessible vans to provide specialized, door-to-door transportation to senior and disabled citizens of Cayuga County. UCPA (E. John Gavras Center) received $2,250 to assist with the installation of an electronic door access security system, which will help the Center meet its goal of obtaining an operational day care license. Unity House of Cayuga County received $3,800 to purchase two adjustable beds for the Auburn Day Habilitation program. The beds will help ensure the safety and comfort of the program’s non-ambulatory consumers and staff caregivers by allowing for safer, more efficient transfers from wheelchairs to beds. Village of Aurora Historical Society received $2,500 to provide funding to bring the first floor of Patrick Tavern up to code for use as a three-season museum and community space. The Patrick Tavern is the oldest building in the Village of Aurora, dating back to 1793. These grants were made possible with support from the Cayuga Community Fund, the Evelyn B. & Emery S. Osborn Fund, the Cayuga Health Association Fund and the Dr. Henry Romano Fund for Children. The Cayuga Community Fund, created in 2008, is a geographically specific fund created to serve as a source of permanent charitable dollars available to nonprofits serving residents of Cayuga County. Grants are awarded from the endowment fund annually to aid vital programs in education, health, social services, the arts, civic and environmental concerns, as well as the preservation of historic resources in Cayuga County. The Cayuga Community Fund has granted more than $260,000 to nonprofit groups since 2010.